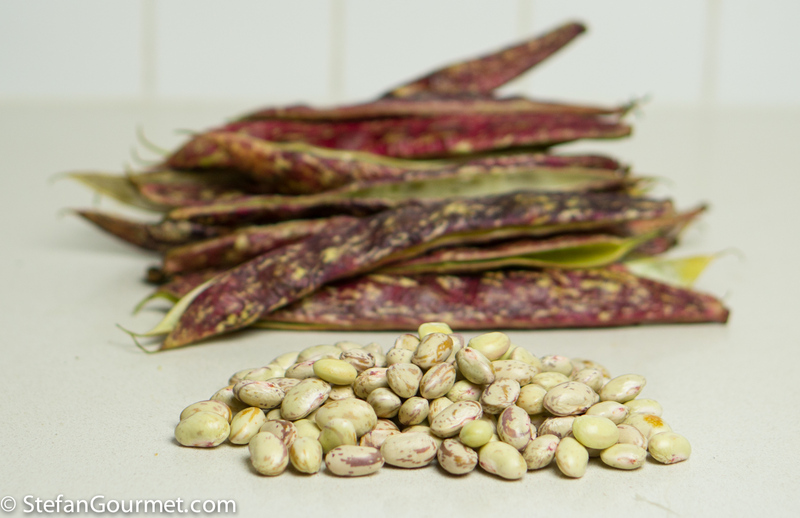 Sometimes fresh borlotti beans are available at the market in Amsterdam. The pods are so pretty that they look like they were designed by an artist. I had picked up some and decided to turn it into a minestra using an Italian recipe I found on-line. 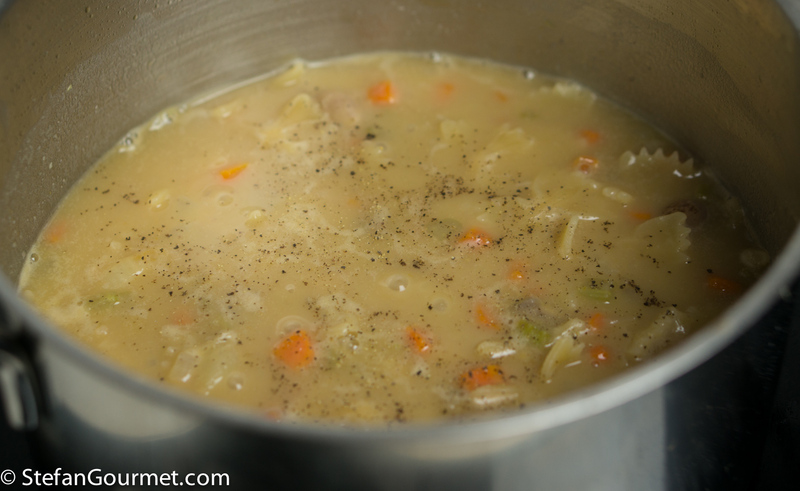 The result is an elegant yet filling vegetarian soup. If you leave out the parmigiano, it is even vegan. 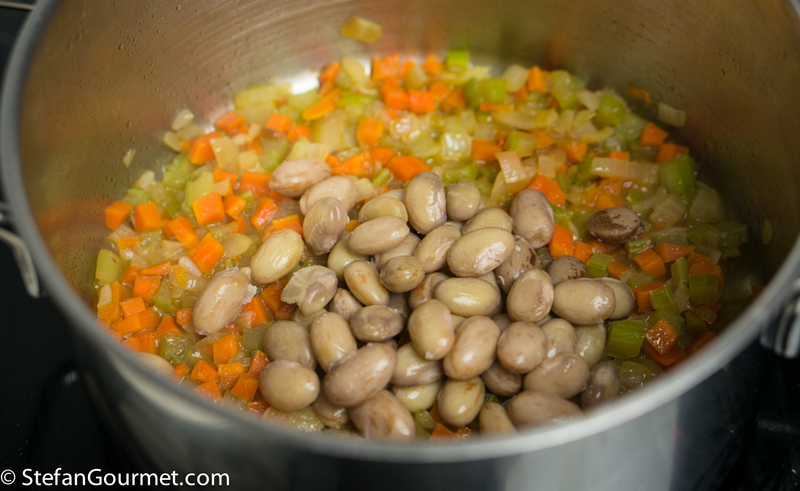 The fresh beans have a more elegant and complex flavor and texture than the usual canned ones. 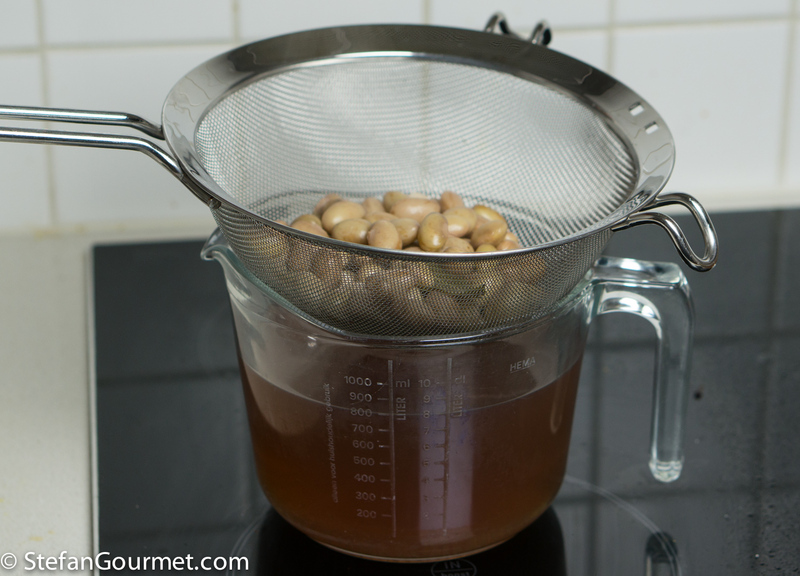 If you can’t find fresh borlotti beans, you can use canned beans (and their liquid) to make this minestra, but it won’t be as elegant. Start by shelling the beans. When the beans are still raw, they have some nice speckles that remind me of the eggs of small birds. From 500 grams of beans in the pod, I ended up with 165 grams of actual beans. 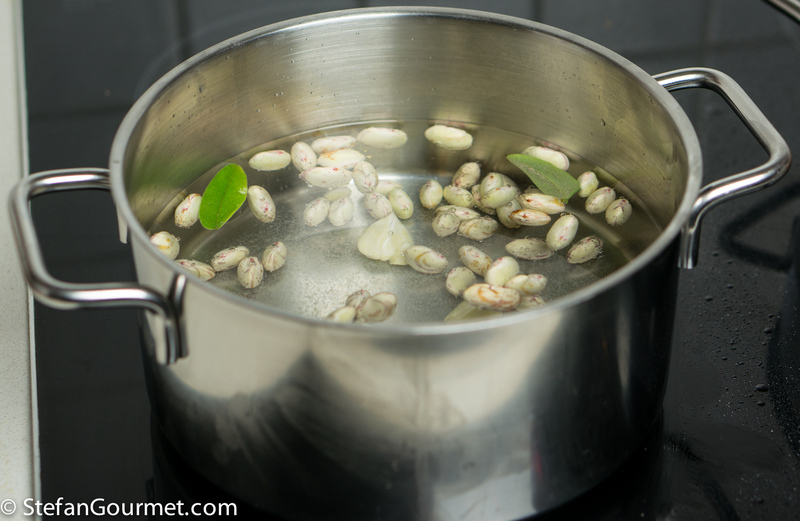 Put the beans in a pot with 4 sage leaves and 2 garlic cloves, and add 1 litre (4 cups) of water. 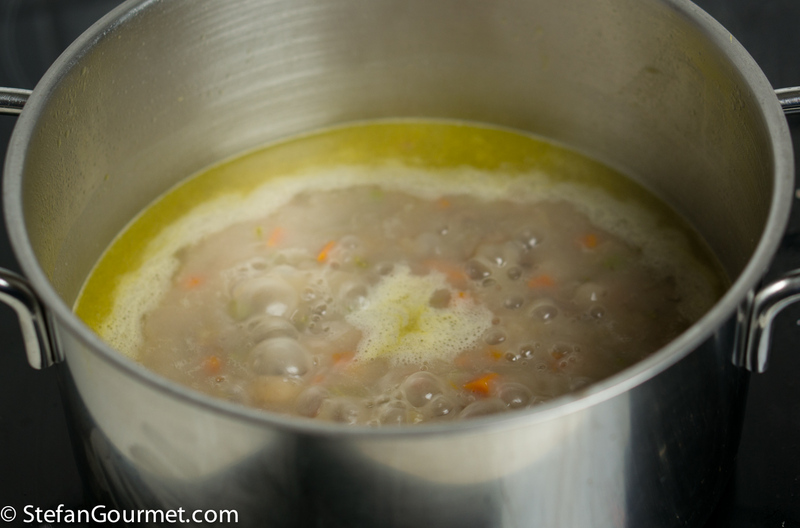 Do not add salt at this point, as salt would toughen the beans. 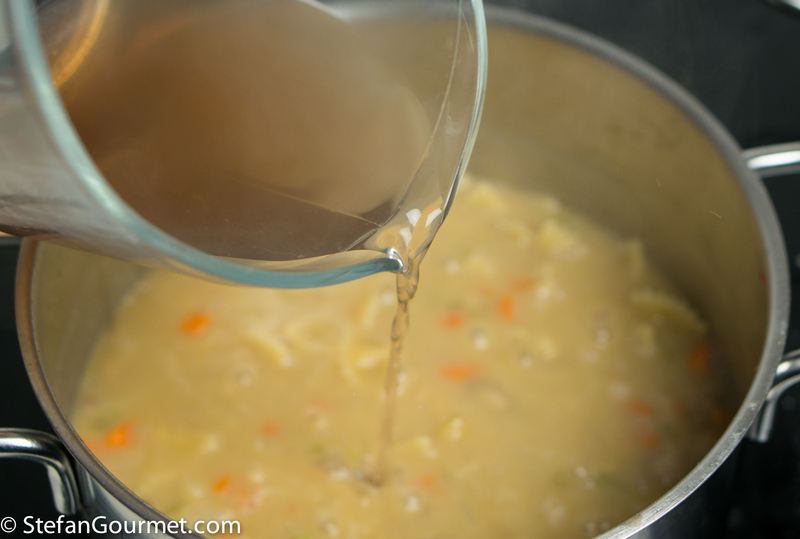 Cover, reduce the heat so that it remains boiling gently, and cook for 1 hour, stirring now and then. After an hour, taste whether the beans are nicely cooked. They should be tender but firm to the bite. If they are still tough, cook them a bit longer. If they are cooked, add salt to taste. 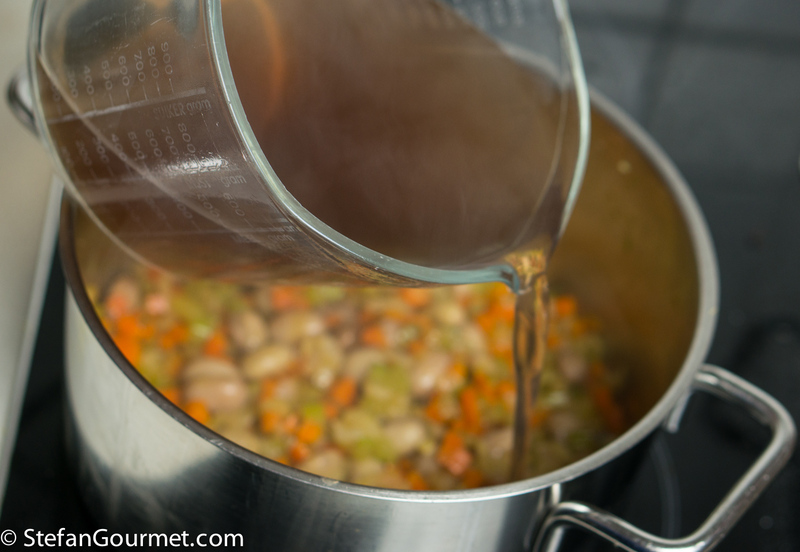 Drain the beans, reserving the cooking liquid. 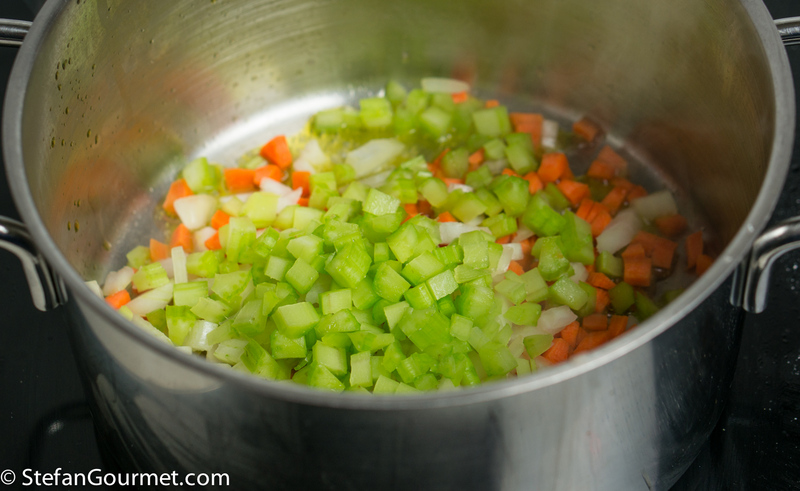 Prepare the ‘holy trinity’ of celery, onion, and carrot, all diced. 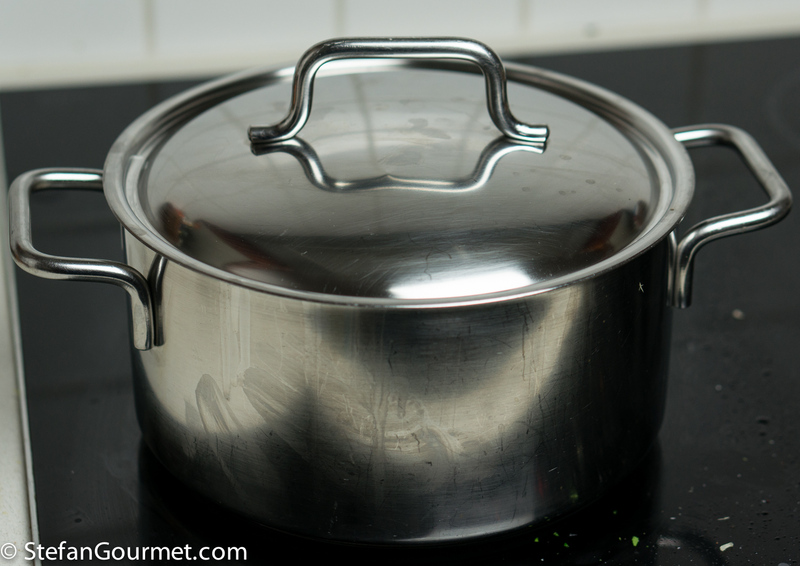 Heat 2 tablespoons of olive oil in a pot. Add the holy trinity. 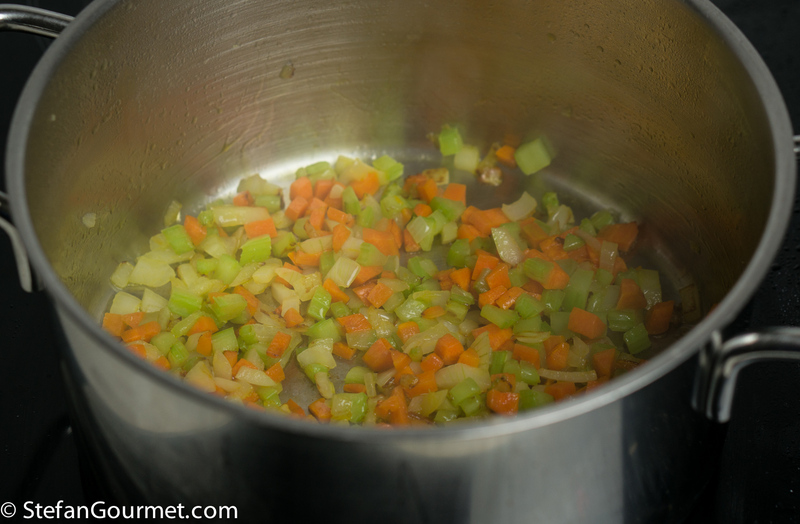 Stir the vegetables over medium heat until they are slightly golden, about 5 minutes. 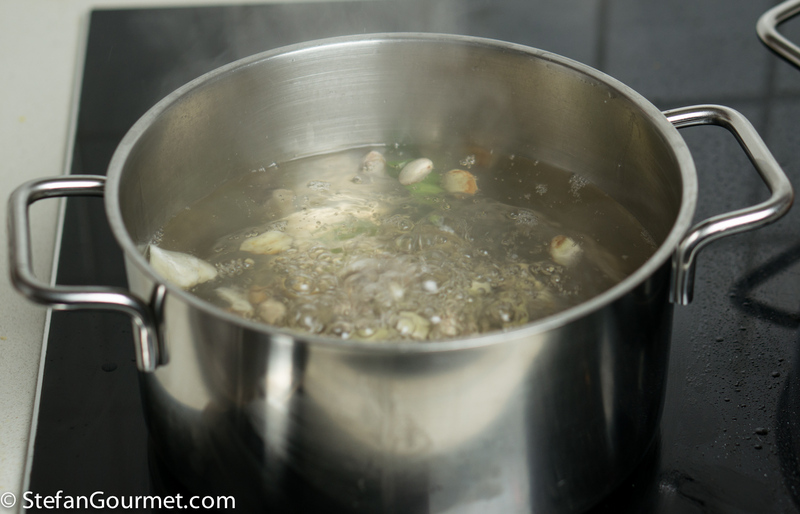 Add a bit of the cooking water. 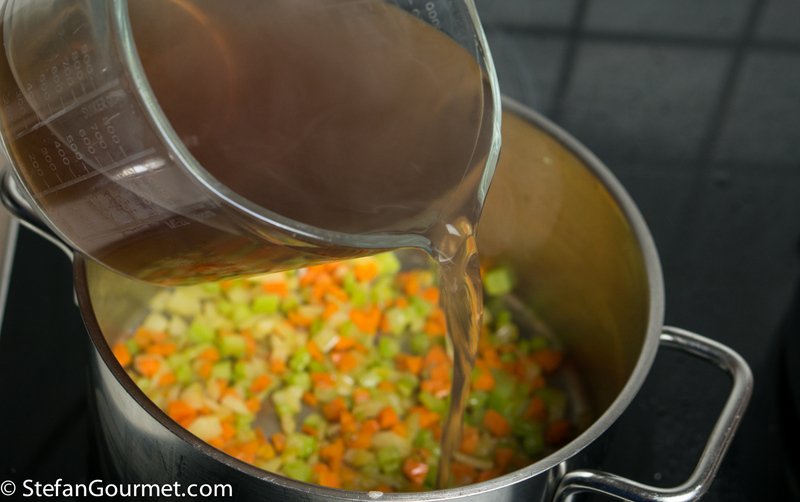 Meanwhile, blend half the beans with some of the cooking liquid until smooth. When the 10 minutes are over, add the other half of the beans to the holy trinity. 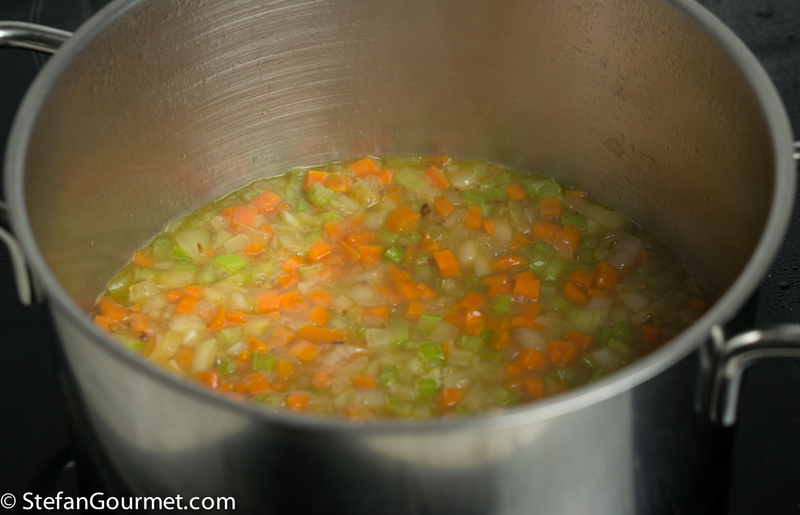 …and add the pureed beans. Add 100 grams of short pasta. 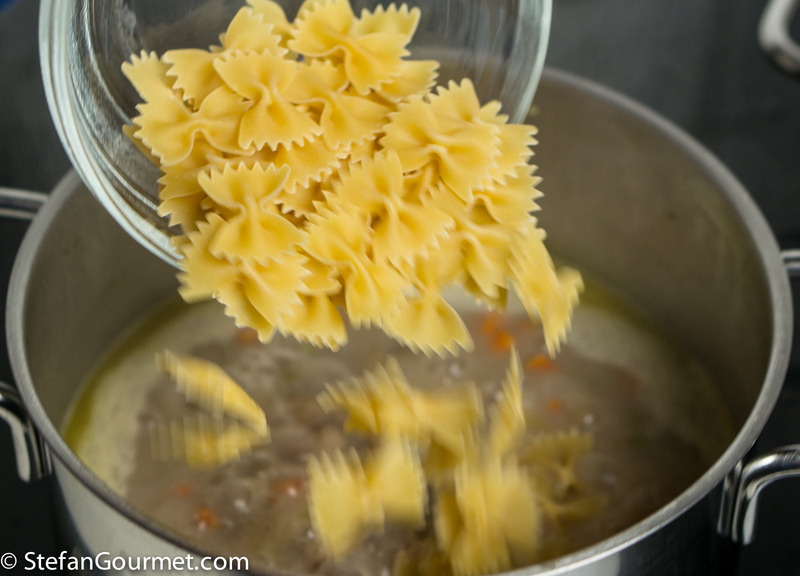 Cook for the time indicated on the package for al dente, stirring regularly so the pasta won’t stick to the bottom. 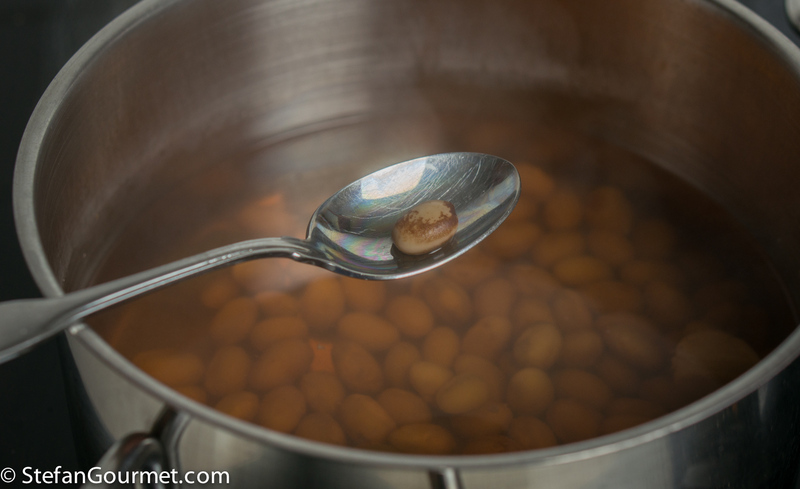 Add more of the bean cooking water if needed. When the pasta is al dente, turn off the heat. Add freshly ground black pepper to taste. 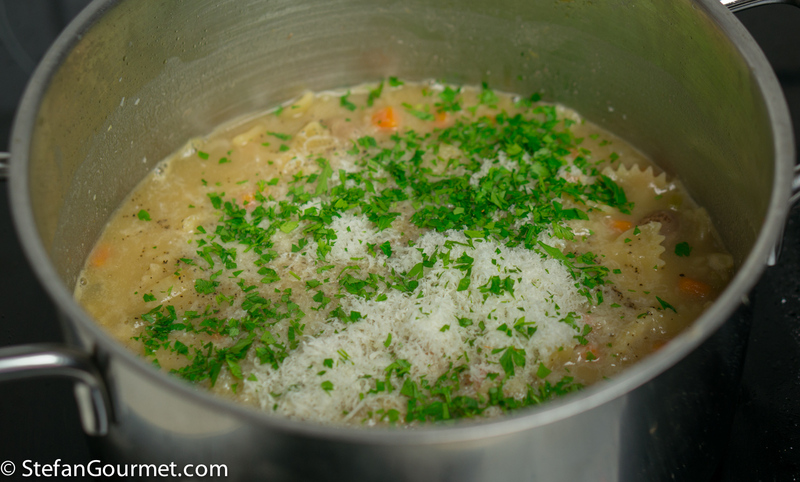 Add a handful of freshly grated parmigiano reggiano (if using), and a tablespoon of minced parsley. Stir to incorporate. Taste and adjust the seasoning with salt. Cover and allow to rest for about 5 minutes. 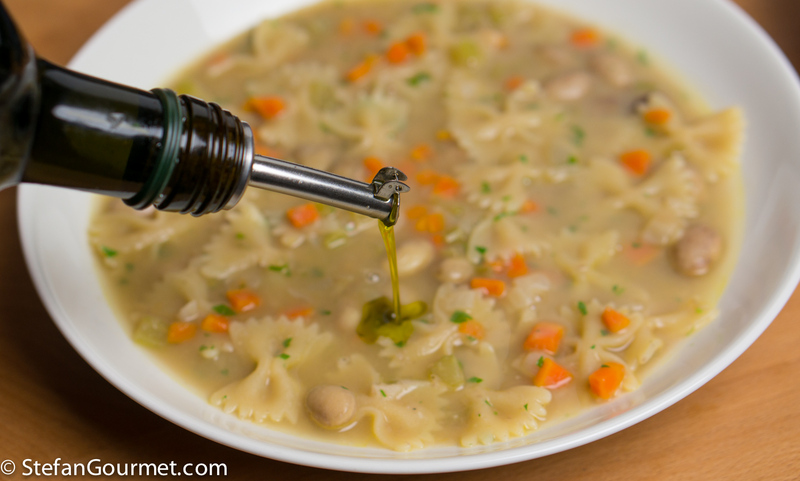 Serve the soup in bowls or deep plates, and finish with a drizzle of the best quality extra virgin olive oil you can afford. 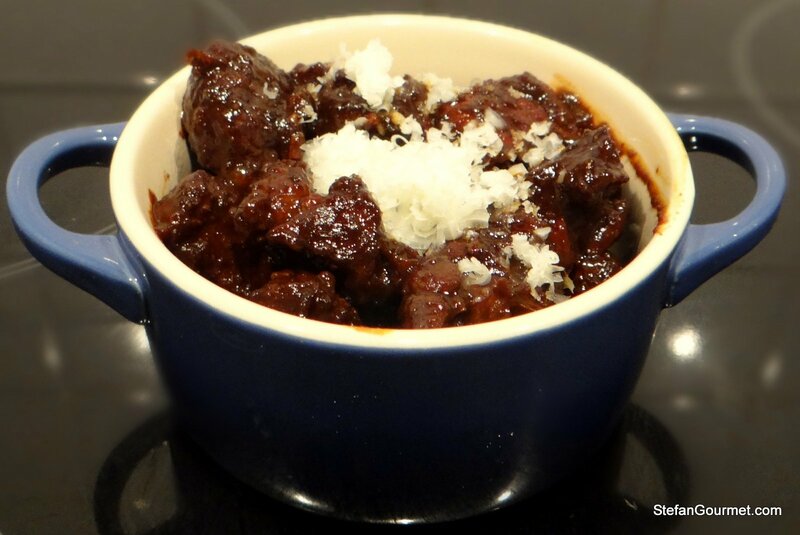 Although chili con carne is usually made with beans in the Netherlands, the original is just chiles and meat. I’ve got my very similar looking borlotti’s from Sligro Maastricht this morning. Can’t wait to make this. Seems like my timing for this post works very well for you. Let me know how it turns out! Quanto mi piace! Davvero davvero golosa! 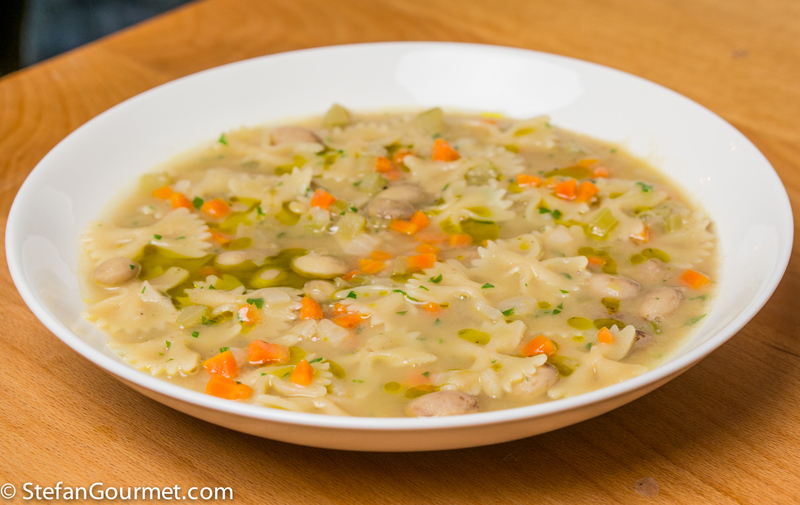 An absolutely beautiful soup . . . and is one allowed to say: very healthy and filling also 🙂 ! Yes, borlotti beans are but rarely available in our supermarkets also – one stands a better chance visiting farmers’ markets in season . . . I had to google those beans. 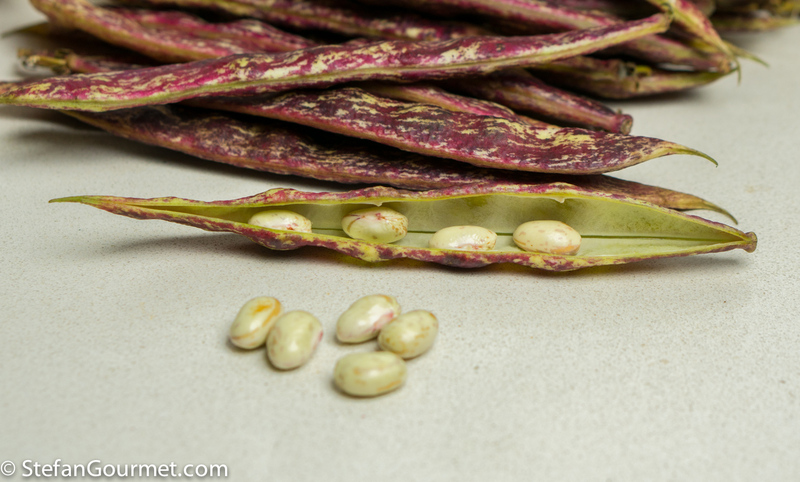 Here in the U.S. they are known as cranberry beans, I suppose due to the red color on them. 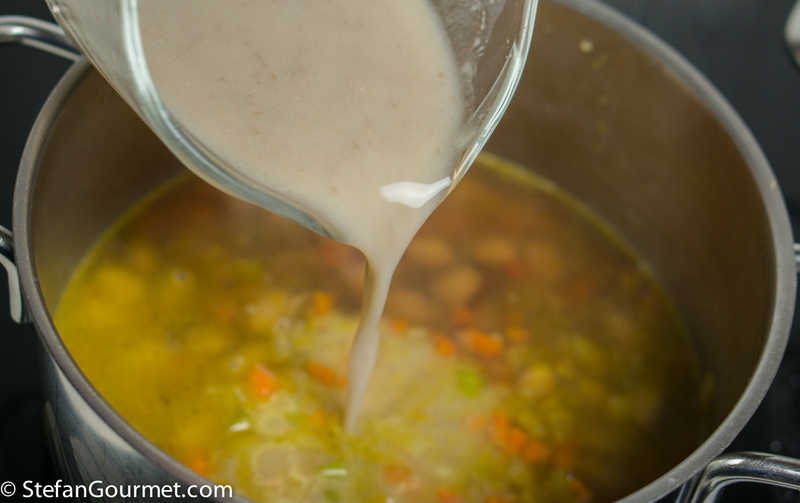 I just love bean soup! 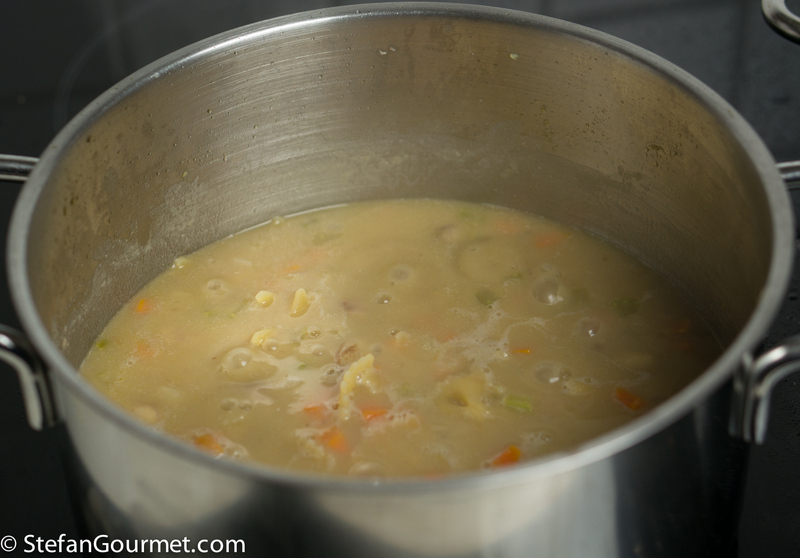 I make bean soup all the time with black-eyed peas (not to be confused with the U.S. rock band, but they are really beans (legumes) and not peas, it’s a Southern U.S. thing but they first came to the South from Africa.) Looks delicious! II love this soup, Stefan. It’s a favorite of Zia, too. 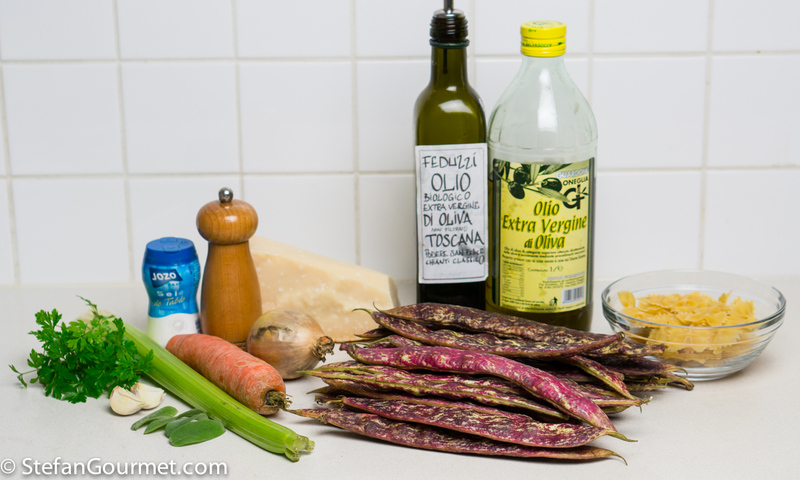 We make another version but it, too, uses borlotti beans. In fact, I stocked up on fresh borlotti in the closing weekends of the farmers markets last summer. After I quick blanche, I froze them all and have been enjoying them ever since. Is your version on the blog or in the book? It’s on the blog, Stefan. Here’s the link, if you don’t mind my posting a link here. If you do, just delete it. No worries.